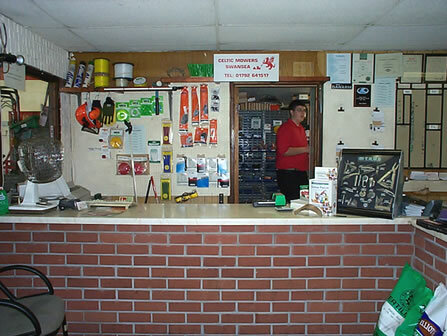 Here at Celtic Mowers we believe we have the most comprehensive spare parts department in South Wales. Our stock has been built up and honed over 45 years to fully meet the requirements of our customers, whether domestic, commercial or local authority based. For a more comrehensive of the spares & accessories we carry visit the relevant page under the products section of our website. We appreciate that downtime to our customers is frustrating and sometimes costly so we ensure that we carry the stock that you need and depend on. 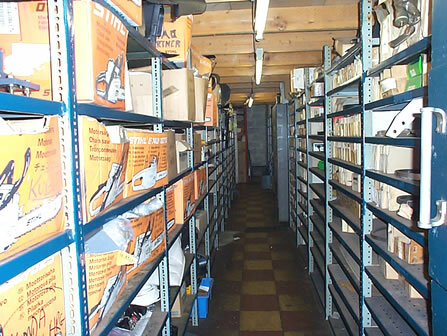 And if it's not in stock our comprehensive spare parts backup service ordinarlily operates a 48 hour turnaround. Terry & Kim have decades of experience in the sourcing & supplying of parts and pride themselves on the product knowledge they each posses on which our customers have come to rely on. To assist us in your enquiry it is beneficail if you have the model & serial number of your machines, this will help us in identifying the exact parts you require. However if this is not present we can still assist. Why not drop us an email or give us a call. This list is just a representation of the parts we carry . If you have any questions then please just get in touch.